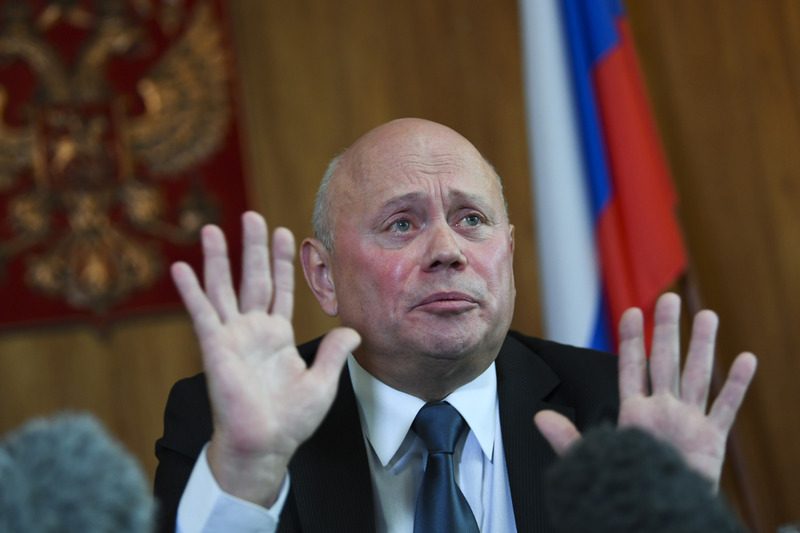 Ambassador of the Russian Federation Grigory Logvinov speaks during a press conference at the Russian Embassy in Canberra, Wednesday, March 28, 2018. The Australian government yesterday announced it would expel two Russian diplomats over the Skripal poisoning affair, in which a former spy and his daughter were critically injured in an alleged chemical weapons attack in Salisbury in England. Logvinov criticised Australia's show of support for the UK, saying they have no proof that Moscow was behind the attack and Russia is being unfairly punished.